Treat your children to a fun and fruitful summer vacation with a series of creative sessions that will spark their imagination and discover their hidden talents at the De La Salle-College of Saint Benilde (DLS-CSB)’s Star Summer Art Workshop. The series of exciting classes will range from Creative Ballet for aspiring dancers age three to six to Ballet for Beginners, Hip Hop, Painting, Ukelele, and Voice Lessons for young artists age seven and up. Designed for kids and teens who wish to ignite the performers within them, all courses will cover the fundamentals of the craft, yet will add a twist through an exploratory nature. Professional dance instructor Je-micah Callado of iRhythm Ballet and Jazz will facilitate the classes on Creative Ballet and Ballet for Beginners, while the other lectures will be facilitated by award-winning students, who have brought recognition to the College here and abroad: resident dance troupe Saint Benilde Romançon Dance Company for Hip Hop, official chorale group Coro San Benildo for Ukulele and Voice Lessons, and shadow puppet group Karilyo for Painting. 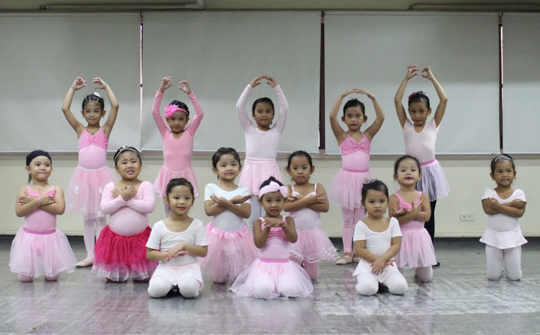 Ballet for Beginners will have classes every Wednesdays, starting today, April 3, at the Makati Cinema Square Dance Studios. Meanwhile, the other specialty programs will hold sessions every Saturdays, starting April 6, at the DLS-CSB Taft Campus. The participants of Star Summer Art Workshop 2019 will showcase their newfound talents in a culminating recital to be held at the De La Salle-College of Saint Benilde’s School of Design and Arts Theater on Saturday, June 8. The fee per course is at P4,500 inclusive of the recital fee and the souvenir book. For inquiries and registration, call the Office of Culture and Arts (OCA) at +(632) 230 5100 local 1528 or 1603, send an email to [email protected] or visit its Facebook account @cultureandarts.benilde. The OCA Office is located at the 4th Floor Br. Miguel Febres Cordero Building, De La Salle-College of Saint Benilde Taft Campus, Taft Avenue, Malate, Manila.